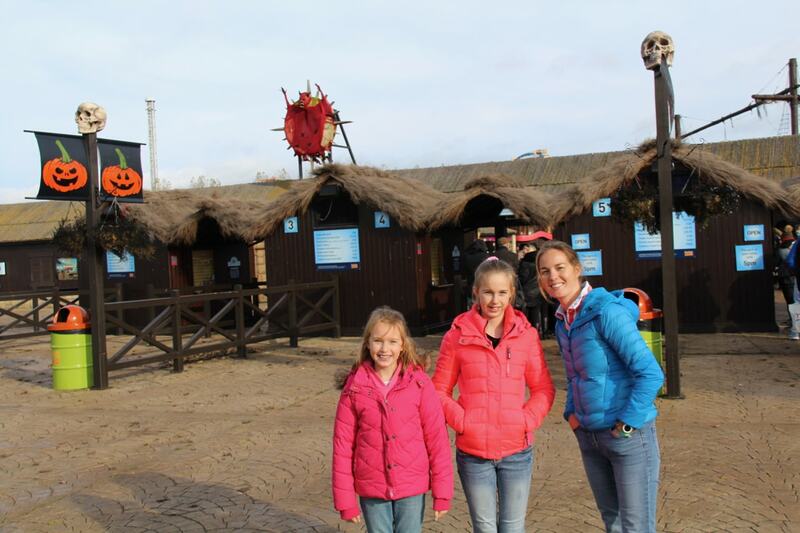 The Flamingo Land Experience beside the North York Moors promises Yorkshire’s ultimate theme park plus the UK’s most visited zoo, so we thought we’d check it out on one of it’s Halloween themed days in late October….. and boy does it it deliver!! By some distance! 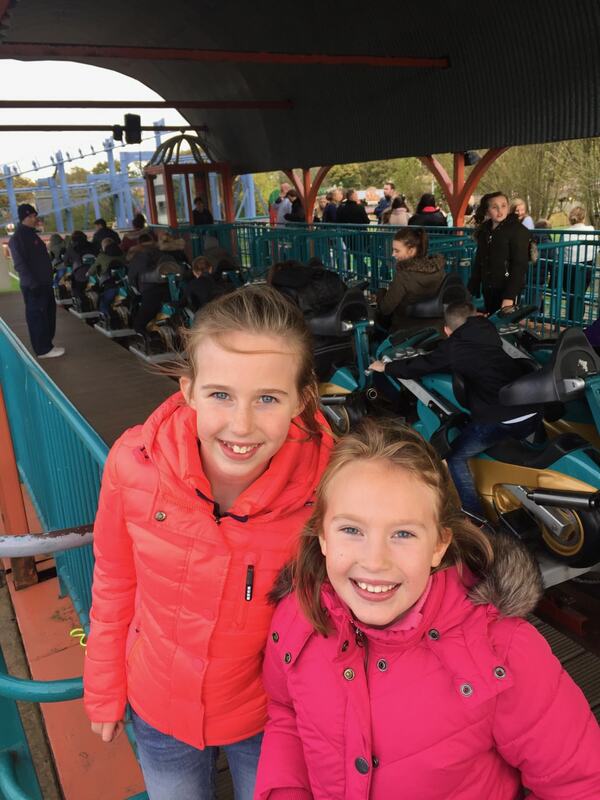 Perhaps the adrenalin fuelled rides might not suitable for those with delicate dispositions or with very young children….but there’s plenty for everyone and if you’ve got an active family who love an adventure… you’ll certainly find one here! 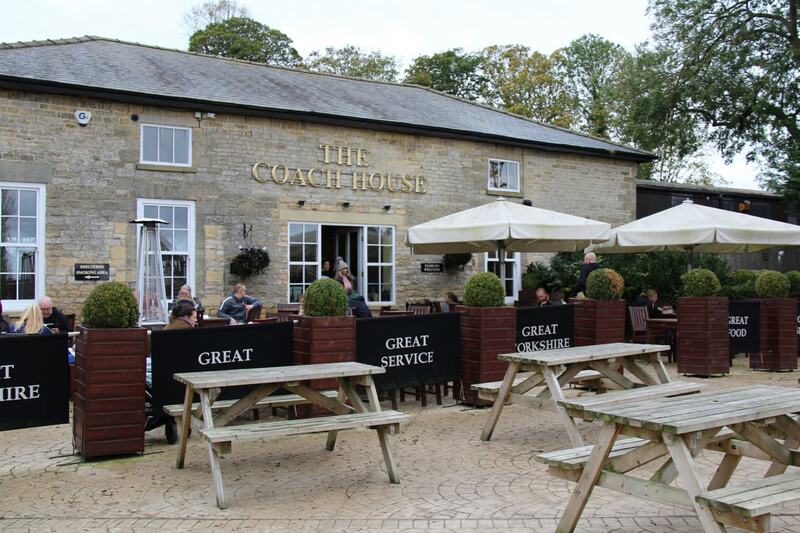 Plan your visit in advance….. How to save some pennies! 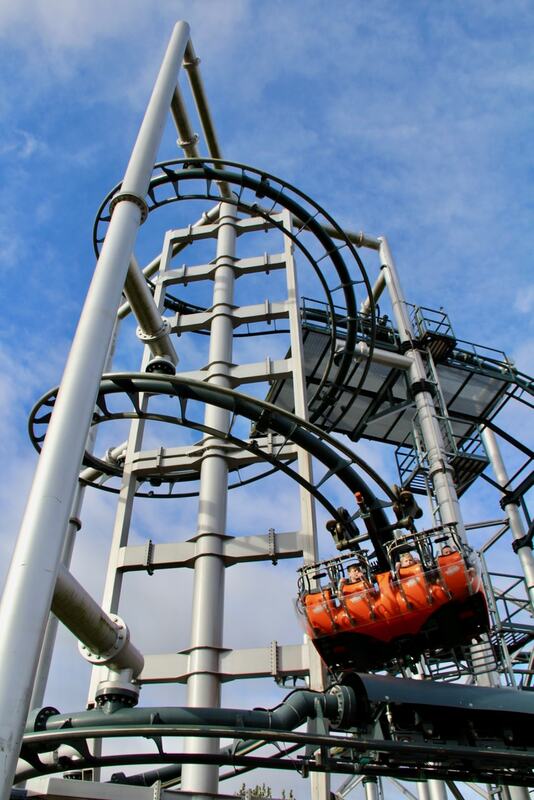 If you’re planning to visit Flamingo Land, it’s definitely worth booking your tickets in advance. You’ll avoid the long queues, and at busy times of the year you’ll be guaranteed entry as you’ve already got your ticket in your hand! It’s also good to see the car parking is free (for motorhomers too, and they even have their own campsite too). 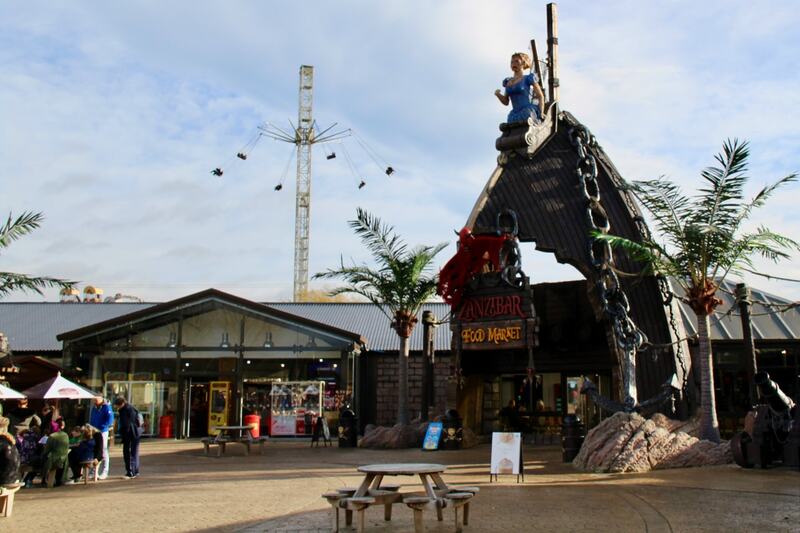 Although each area at Flamingo Land has plenty of places for food and drink, including self-service, takeaways and snacks to sit down restaurants, you can always pop out for food midway through the day. Plan how to make the most of your day out ….. Get your bearings! Start your day at the back of the park (see map) and work your way forwards. This way you’ll be doing the opposite of everyone else and will probably endure less queuing! 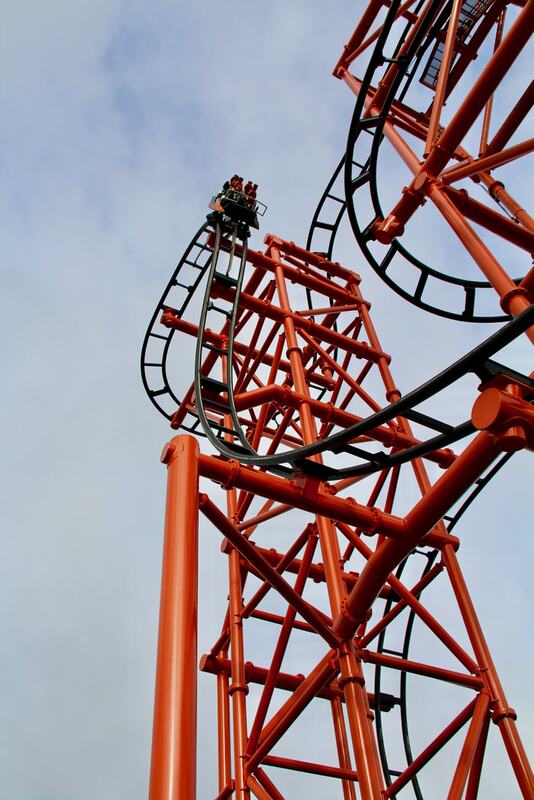 This means heading past the bigger rides like Velocity, Hero, Cliff Hanger or Mumbo Jumbo (a previous Guinness Book of World Record Holder!) You can either walk it (takes 20mins) or use the variety of train options that circumnavigates the park. 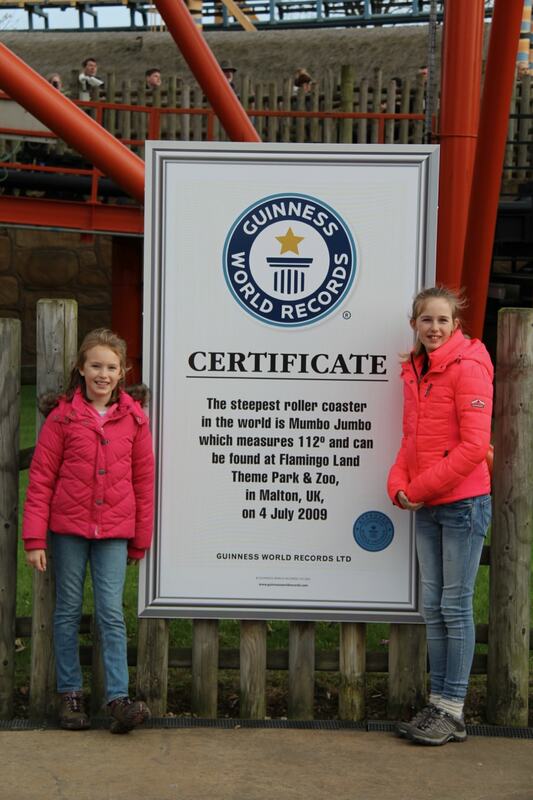 They’re also fairly strict with their height restrictions (90cm –> 1.35m being the minimum for the majority of the rides), so if you’re with younger kids, then it’s worth making sure you have an idea of the ride’s minimum heights to avoid disappointment and unnecessary queueing. 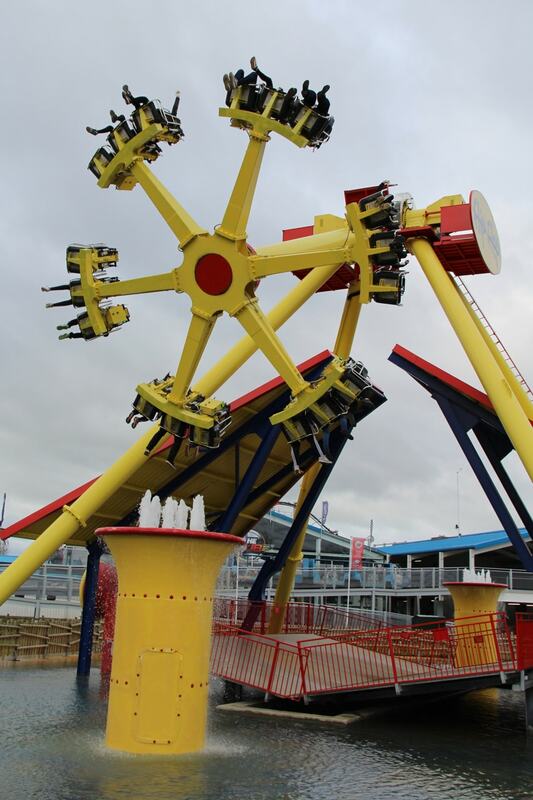 If you want white knuckle rides You’ll find enough for everyone…..
As Flamingo Land is is divided into 9 themed areas. 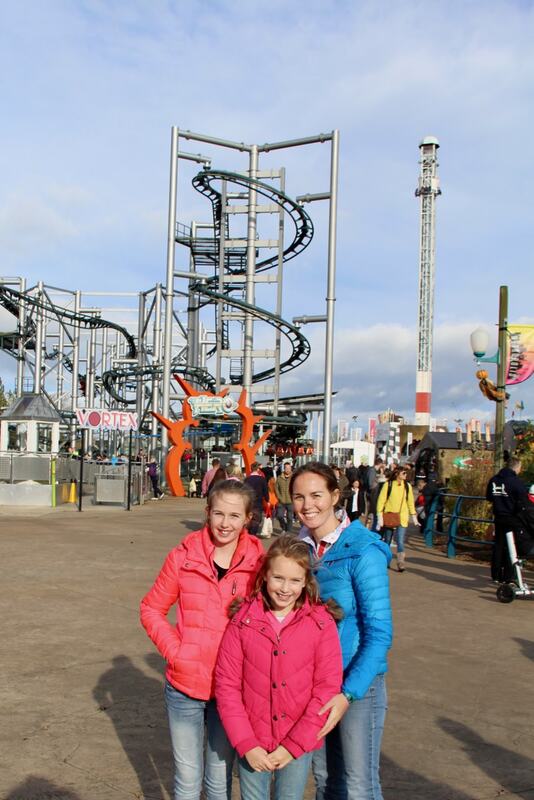 Each one features a signature ride or attraction alongside a choice of other family friendly activities… If you’ve got animal lovers then maybe the Lost Kingdom or Zoo is the place for you…. but if you’ve got adventurous kids, then you’re best to head straight for Flamingo 1 or Riverside 1…. 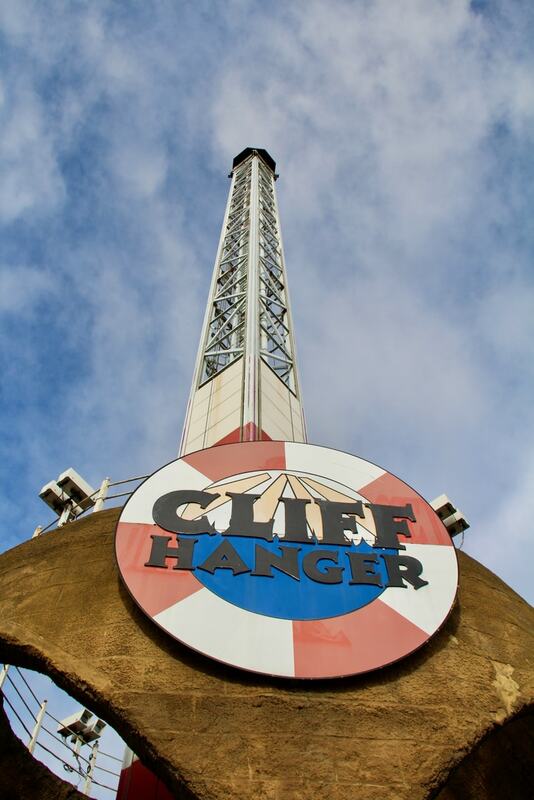 for rides like the terrifying and world beating motorbike launch coaster (0-60mph in 2.8sec) or the UK’s tallest drop tower (180ft) in Cliff Hanger. 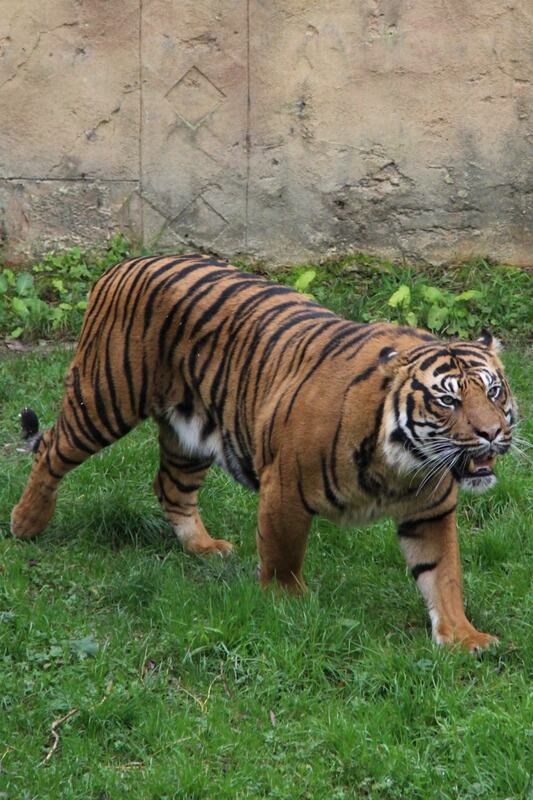 Don’t miss the zoo…. full of education and conservation!! 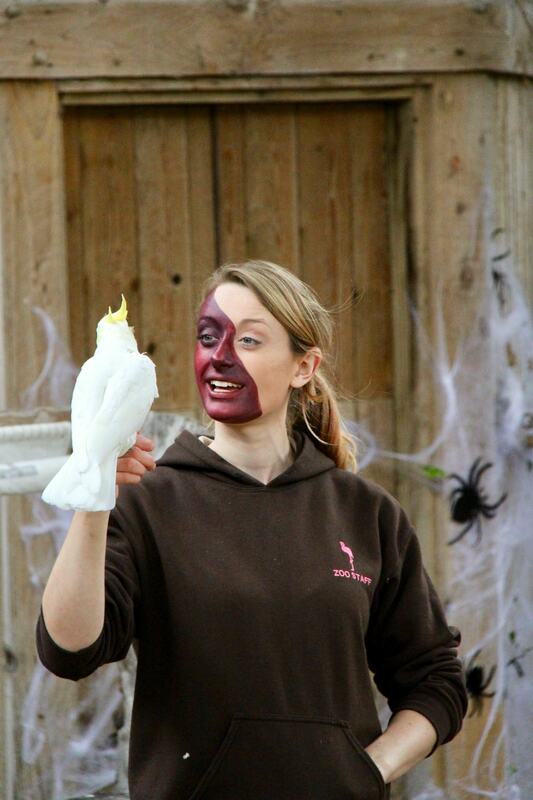 Flamingo Land is one of the UK’s most visited zoos and includes over 140 species of reptiles, mammals and birds, If you check your timetable closely on entry, you’ll find some animal feeding times, keeper talks and a sea lion show are included within your admission. 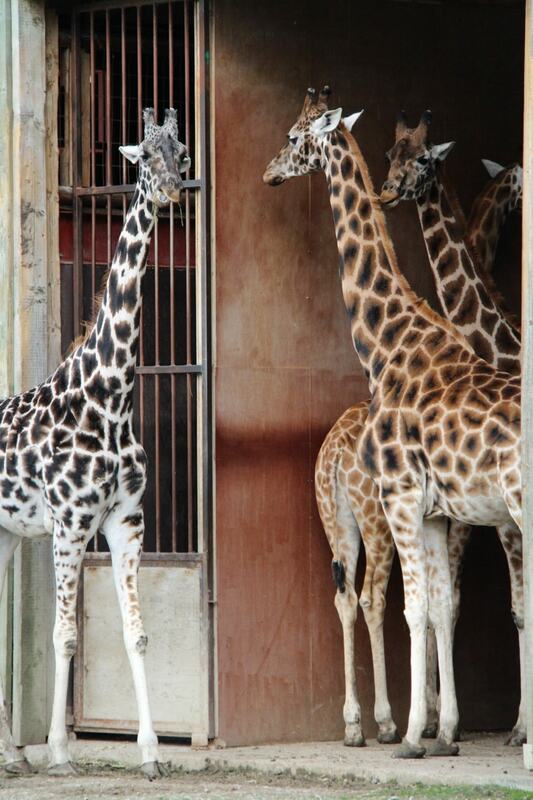 It’s certainly similar to Folly Farm in Pembrokeshire as you can add to this with your very own ‘animal encounters’ .Sadly we didn’t have time for these much to our girl’s disappointment as they loved their rhino, penguin and giraffe encounters at Folly Farm. 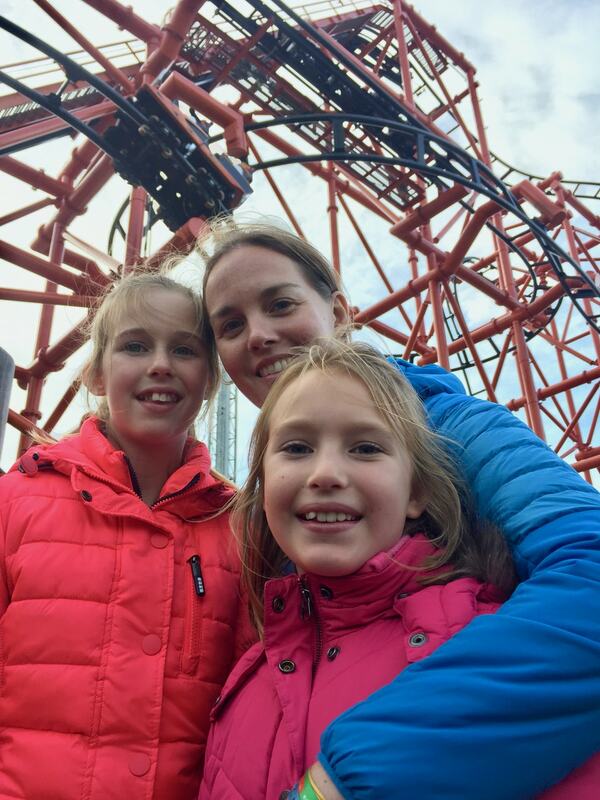 Our girls LOVE zoos and aquariums and we’ve now visited plenty across Europe including the Schönbrunn Zoo (Austria), Valencia BioParc (Spain), Den Blaa Planet (Denmark) or swum with sea lions at Rio Safari (Spain). 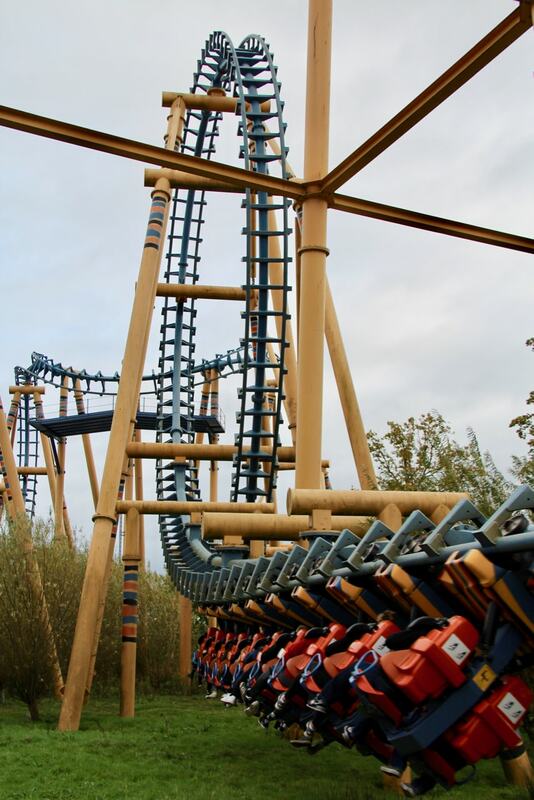 So how would Flamingo Land compare??? It’s certainly interactive and informative, there are colourful visual boards across the zoo with clearly laid out messages about conservation. This need to offer protection of a breeding stock is something we’d become increasingly aware of…..highlighted by the recent issues with an entire Antarctic Pengiun stock (150,000) being lost (just like this one in 2016). 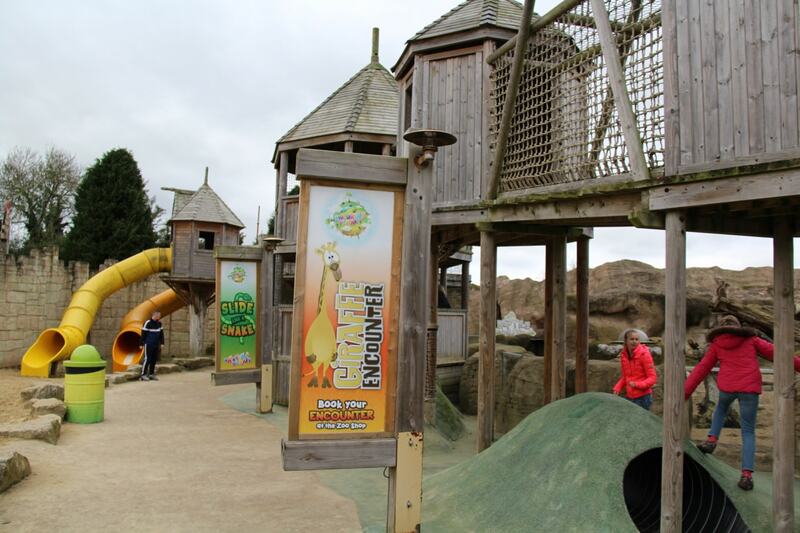 If they’ve got ant energy left….. There’s always the play areas!! 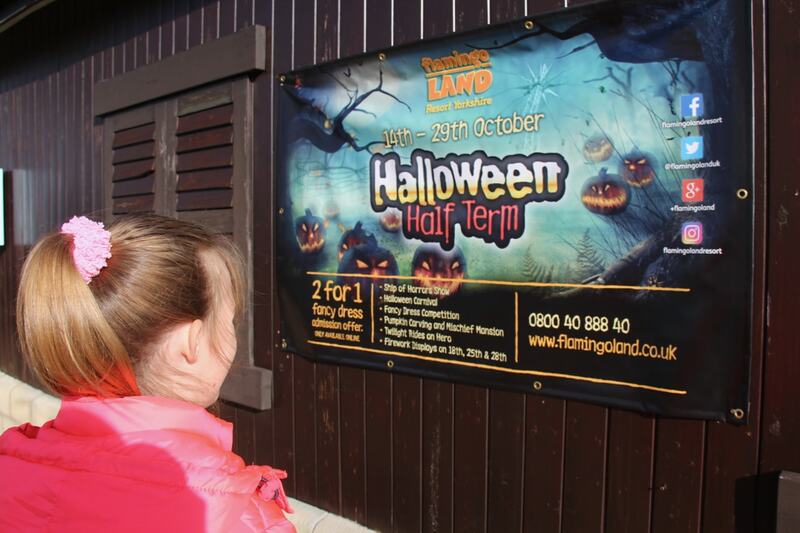 If you can spare the time on a genuinely packed day out at Flamingo Land, you might want to leave some time for lunch (picnic) or afternoon at the adventure playground called the Children’s Planet… there’s plenty of old galleons, climbing frames to enjoy whilst you grab a quick breather in the patio area outside The Coach House…. There are plenty more areas for kids to find space to relax…. even one of those clever water sprouting playground guaranteed to illicit howls of laughter (although not in October… much like the log flume water ride!)…. 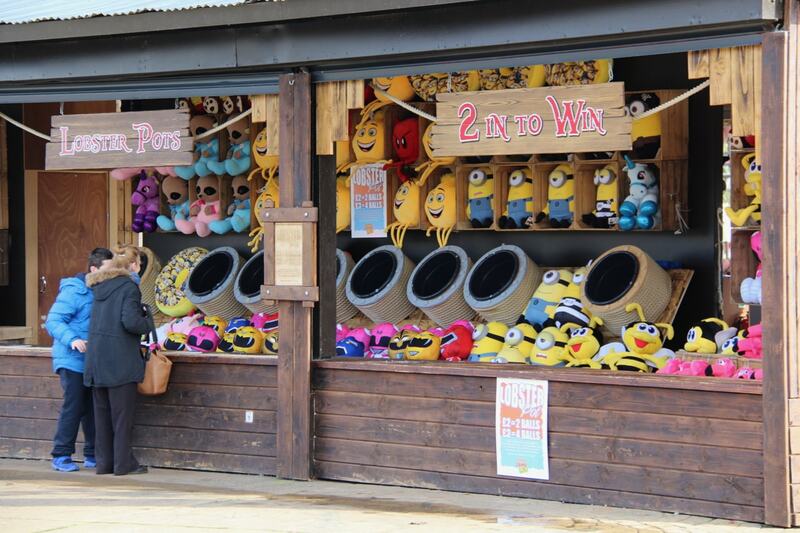 there’s even places to try and win soft toy to cuddle up to on the way back home for the kids!! Live entertainment is a great finale….Even better if it’s free! Both girls loved this week’s live performance at Whitby Abbey, so they were very keen to see the impressive live ‘Ship of Horrors’ production show aboard the Black Galleon. A Halloween inspired show featuring pirates, magic and nightmares that provided a fitting finale alongside the enormous firework display..
As any parent knows….. theme parks can be relentless places and you certainly need to have a decent breakfast beforehand… but one thing you can guarantee afterwards is a decent night’s sleep. Especially after a 19,000 step day (phew! )……no wonder the girls slept like a log last night!!! Summary Ever considered exploring Europe as a family? Well, that’s exactly what we (Catherine, Richard, Lottie & Libby) have done since September 2015. 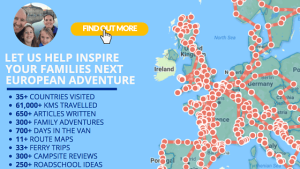 Grabbing memorable family experiences in over 30+ countries… So let us help by saving you time and offering some of the BEST FAMILY ATTRACTIONS from across our journey so you can enjoy planning and creating special memories with your families. A Crisp Frosty Morning back in the UK in Rockingham Forest….